I wanted to share this great lunch bag tutorial that I have made again and again for myself, family and friends. It’s from the blog of ZaaBerry, a US crafter who is a chemist by day and a sewer by night, check out the tutorial and her blog here. 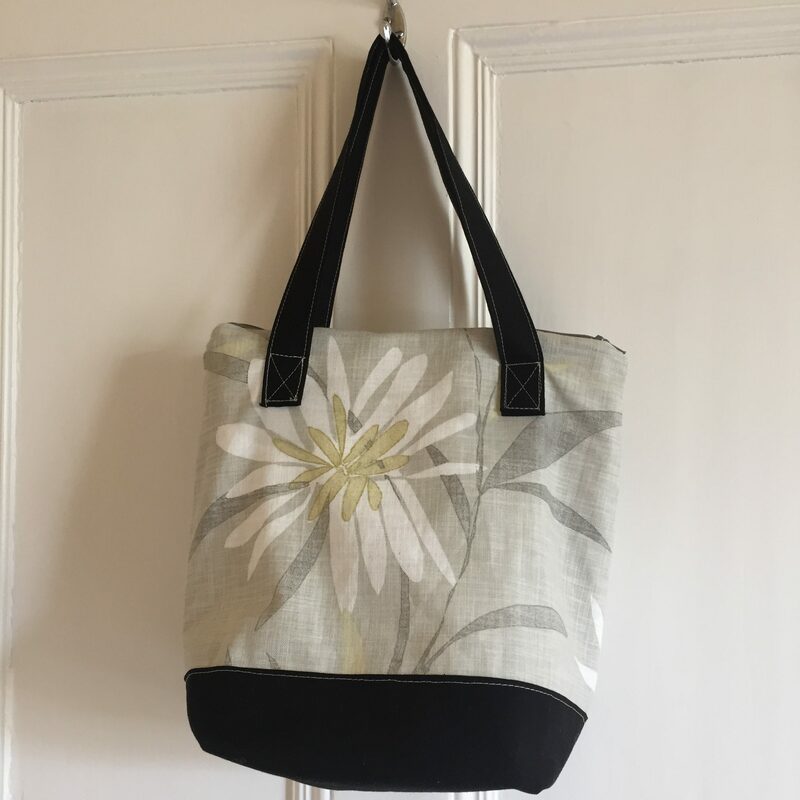 This lunch bag was one of the first proper sewing projects I had attempted since Mrs Poyser’s Textiles class at school. I had run up some curtains on my sewing machine before but nothing that involved zips or ‘complicated’ sewing inside out and turning techniques (it’s not too bad once you have done it a couple of times and ZaaBerry’s tutorial has great instructions). My first attempt must have taken me the best part of a day to make- I struggled with the zip and I probably spent far too long making sure all the fabric was straight but it came out great! At that time I couldn’t find the insulating fabric that it asks for in the tutorial (turns out you can’t buy it in the UK- I now use Insul-Fleece which I think is the same thing, available on Amazon here) so the first time I used an old ironing board cover which worked fine (though it is probably not quite as insulating as the metallic insulating fabric I have used since). I also couldn’t explicitly find PUL fabric (and I had no idea what it was) so I went along to Abakhans (great fabric shop!) and looked through what they had until I found some lightweight waterproof fabric (oilcloth would be far too heavy for this project I think so I wouldn’t try it). The latest one pictured here is one I made for my mum. This one took me about 2 hours to make from start to finish- I made my own straps as instructed in the pattern rather than using tape.